Ownership of property in South Africa is mostly under freehold title and to a lesser extent sectional title. More than one of these functions may be conducted by the same attorney. By law a conveyancing attorney is the only person who may register property transactions in the Deeds Office. Sales and purchasing of immovable property is normally negotiated by estate agents, acting on behalf of the seller (and sometimes the purchaser). The agents’ commission is paid by the seller and is up to 7.5% (plus VAT) of the gross purchase price. The process starts when the seller accepts a complete Sales Agreement or Offer to Purchase from the buyer, constituting a legally binding contract. This must be in writing and the contract must include a description of the property, details of the owner and purchaser, the purchase price, details of the bondholder if applicable as well as all the material terms of the agreement. Contracts must be completed and signed in black ink. The signed Sales Agreement is submitted by the seller to the transferring attorney who proceeds with the process of registering the property into the buyer ’s name. Upon acceptance of the buyers’ offer, the buyer should make application for finance (mortgage bond) from a financial institution if not already done. The bond attorney is then instructed to register the new bond once approved. The bond attorney informs the transferring attorney of the amount available for guarantees, and requests a Draft Transfer Deed and guarantee requirements. The transferring attorney requests the Title Deed and Cancellation Figures from the current (sellers’) bondholder. The cancellation attorney is instructed to cancel the existing bond (on receipt of guarantees for the outstanding amount). 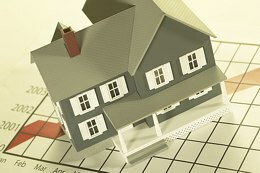 Title Deed is forwarded to the cancellation attorney. The transferring attorney request Rates Clearance certificates from the local authority and rates and levy clearance certificates from body corporates if sectional title or Home Owner’s Associations where applicable. Transferring attorney proceeds to draw up transfer documents and arranges for signature by both seller and buyer. The buyer pays transfer costs and the transferring attorney then pays rates, taxes and transfer duty. Transferring attorney applies for a Transfer Duty receipt from the Receiver of Revenue. Bond attorney draws up all Bond documents which is then signed by the purchaser who pays the associated costs. Bond attorney issues guarantees in favour of the seller and /or the existing bondholder (of the seller) so that the existing bond may be cancelled. Cancellation attorney gets consent for bond cancellation from existing bondholder. Transfer attorney contacts bond attorney and cancellation attorney to arrange the simultaneous lodgement of the various deeds in the Deeds Office. Documents are examined and once cleared by Examiners are forwarded for registration. Guarantees are presented for payment of the purchase price. Proceeds of the sale are allocated towards payment of the existing (seller’s) bond if applicable. Accounts are reconciled, adjustment and apportionment of rates payments are made and the local authority advised of the registration. Estate agent’s commission is paid if applicable. The registration process generally takes 2 to 3 months to complete and will depend on the individual circumstances of each transaction. The registration process for sectional title properties is normally quicker than for freehold property. These steps serve as a general guideline only to the flow of the registration process and steps may not necessarily occur in the exact sequence as outlined here.